Joining Kelly + Co Finance team as a lending specialist, Linda is driven by a strong desire to provide real solutions to real people. Finance and lending is part of her DNA with over 25 years working alongside financial planners, mortgage brokers, investment bankers and accountants across the globe. Her caring and empathetic approach to helping clients navigate the maze of confusing information during what is often one of the most stressful times in their lives is what sets her apart from your average finance and lending specialist. When asked what made her so passionate about her chosen career, Linda replied, “The power of a simple thank you from someone I have helped has never ceased to be the most influential motivator for me”. When Linda is not supporting her clients to achieve their financial goals, she enjoys spending time with family and friends, keeping fit and walking on the beach with her husband whilst planning their next holiday. 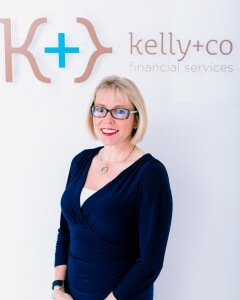 “Our experience with Kelly + Co Finance. was excellent from start to finish. Linda Oliver was exceptionally helpful and professional, and provided a very personalised service. Linda was prompt when responding to questions, supportive of our needs, and always careful to ensure that we felt comfortable and clear with the process. She has a detailed knowledge of both the industry and a wide range of mortgage providers and products. “We would like to sincerely thank Linda for assisting us with realising our dream of refinancing our mortgage. She worked with us to find the best outcome for our situation and what we wanted to achieve. We can now move forward in the best way possible. Because of her dedication, honesty and “can do” approach, we are now enjoying a stronger financial position and have commenced our long-awaited renovations. We would have no hesitation in recommending Linda’s services as a mortgage broker, and the Kelly and Co Finance business. “We needed to raise a small loan quickly so we approached Kelly & Co because they had very efficiently helped our son. Lindy was quick to suggest that Macquarie Bank would nicely fit our situation and that with the assistance of Linda we would be able to get the loan through in no time. Linda knew her job, was very efficient, quick & knowledgeable in assisting us to have the loan approved. “Jase and myself would like to thank Linda for helping us refinance our home loan and consolidate our other small loans at a much better interest rate. Thinking it was going to be easy and straight forward in our situation was like counting your chickens before they were hatched. It was very frustrating and the thought of just leaving it would have been easier but it wasn’t saving us money or helping us sleep better at night. Linda didnt give up, she went above and beyond to get us the best rate and at a better bank. Her years of experience and knowledge is worth its weight in gold. We will definitely be spreading the word regarding our situation at hope that other people will benefit from her service. “We want to say a huge thank you to Linda Oliver of Kelly & Co Finance, for finding us a great Home Loan for our new home. This was the second property we had purchased, and Linda really looked after us then, so we definitely wanted her expertise again. From the beginning, Linda made us feel at ease with the whole process. She was able to answer any questions we had, and also kept us up to date on the progress of our loan. We could not be happier. Proficient, Positive and above all Professional. “We cannot express our thanks enough for Linda’s dedication and flexibility during obtaining finance for our new home. From the outset, we were worried that our multiple locations (Queensland, Western Australia and Malaysia) and unique work situation (roster work, time zone differences) would be a challenge while trying to obtaining a loan. Linda was more than accommodating of our unconventional requirements and found a unique solution that suited our situation. Later in the process we received some curve balls, which Linda managed quickly and efficiently for us. This was key to us obtaining our finance on time and for us to orchestrate an international move to line up with settlement dates. “I was referred to Kelly & Co through a work associate. My circumstances were quite difficult, being in my late fifties and requiring finance for an unplanned eventuality. I spoke with Linda who from the get go was quite positive, which in my instance was a welcomed attitude. There was always a sense of if this doesn’t work we will try something else till we get there and again this was helpful to me. As a Project manager myself I could see the methodology being engaged which operated with a steady pace all through negotiations. Nothing seemed to be too much trouble which had the causal effect of me wishing to be likewise minded and despite the absolute hurdles created by my specific circumstance with this level of collaboration I was able to obtain finance.